In case you missed it, our member, polio survivor Anne Shanahan had a wonderfully inspiring star turn on the RTE Documentary Vitamin Sea, you can watch it on the RTE player. It is so well worth watching – it will make you want to go swimming! No matter what age you are! 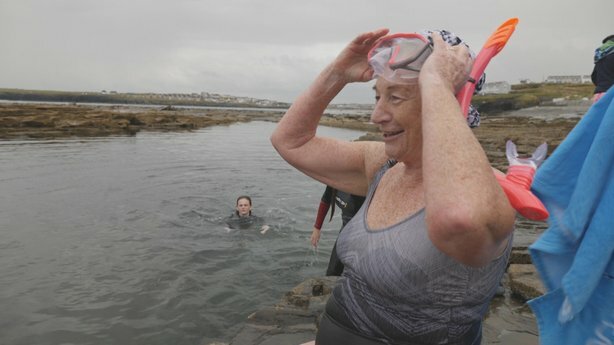 Watch and see Anne learn to snorkel in Kilkee. There are a number of different people featured, from all walks of life, who talk about what sea swimming means to them and how it helps them to navigate their own personal issues.